abnormalities. The technique has proven very valuable for the diagnosis of many conditions in all parts of the body including cancer, heart and vascular disease, stroke, breast disease, joint and musculoskeletal disorders. We provide “state-of-the-art” MRI with an 18 channel system to include MRI breast imaging, breast biopsy, MRCP, body, musculoskeletal, Central Nervous System, and MR angiography/runoffs. We also offer high quality “Same Day MRI services” at our six locations throughout the state. 4. How Do I Get The Results? The MRI exam can be one of the easiest and most comfortable exams you experience. The technologist will ask you to lie on a table that will move into the tube-shaped scanner, that is open at both ends, after you have been comfortably positioned. Your technologist will watch you through an observation window and will be able to communicate with you at all times. The scanner makes tapping noises that change with the various imaging sequences. Remaining still during the exam is extremely important in order to obtain clear images. When scanning is complete, the technologist will return to help you from the table. Your exam will take about 30 to 60 minutes, after which you will be able to return to your normal activities. Usually there are no special preparations or diet instructions prior to your MRI exam. However, there are some exams that may require you to avoid normal eating or drinking for a period of time. You should continue medications prescribed by your doctor unless informed otherwise. You may be asked to change into a gown to eliminate the chance of artifacts from your clothing. Any metal such as earrings, eyeglasses, or hairpins must be removed. Women should always inform their technologist if there is any possibility of pregnancy. If your are claustrophobic please bring a driver with you. After your study is over, the images will be evaluated by one of our board-certified Radiologists with expertise in MRI Imaging. A final report will be sent to your doctor, who can then discuss the results with you in detail. Should you have any questions regarding your MRI scan, we will be happy to discuss them with you. MRI is available at Alamogordo Imaging Center, El Camino Imaging Center, Heights MRI Center, Northwest Imaging Center, X-Ray Associates at Farmington and X-Ray Associates at Santa Fe. Also known as a lumbar MRI, this procedure focuses on the lumbosacral section of your spine. This area of the body is a region where back problems and pain are known to frequently originate from. If your doctor suspects a problem with your spine, they are likely to recommend that you undergo this particular service. If you’re already planning on having spinal surgery, it is also probable that they will order a lower back MRI for you, as the results will help them considerably in building an ideal course of action for your operation, as well as ensure the best possible outcome. Individuals suffering from multiple sclerosis, spinal birth defects, disk herniation, sciatica, or an injury to the spine are also candidates who may benefit from the information that this procedure provides. In addition, it can help pinpoint the origin of symptoms which include: back pain that occurs alongside fever, bladder or urination problems, continuous and/or severe back or pelvic pain, and leg abnormalities that may present as weakness or a numb sensation. This MRI is extremely useful in situations where your doctor suspects that you may be showing signs of brain or spinal cancer, as well. A lumbar scan is one of the best available tools for early cancer detection in these areas of the body. Whether used as a preventative measure, or to detect an issue associated with symptoms that have proven difficult for your doctor to narrow down, this procedure offers a detailed assessment of the condition of your entire body. If you have a personal or familial history of certain diseases, a full-body scan can be used to bring peace of mind, or in some cases, detect an issue before it has the chance to develop – and harm your health – any further. Some individuals may decide that this is something they wish to undergo as they grow older, for instance. The results could make a significant difference in the ease and quality of your treatment, as well as recovery, if a problem is in fact discovered. This all-inclusive service has only become available relatively recently, as whole-body screening was traditionally done with a Computed Tomography (CT) scanner. Using an MRI machine instead can be considered a far superior option, as it does not require that you are exposed to any ionizing radiation. Advances in Magnetic Resonance Imaging technology will provide you with the same results and accuracy of a CT scan, minus any of the associated risks. A full-body MRI should take approximately an hour to perform. The use of contrast dye is not necessary. Individuals who are asymptomatic, but want an analysis of their present health status are still likely to find the results of their scan very useful. It’s possible that a doctor will be able to offer lifestyle, diet, and exercise advice based solely off of what your images show them. However, those who are dealing with symptoms will benefit as well. This MRI can reveal cancers, inflammation, and other disruptive issues within the body. It will also detect brain masses and shrinkage, sinus and nasal problems, lymph node and thyroid abnormalities, arthritis, heart and lung complications, the condition of the pelvis, kidneys, liver, spleen, adrenal glands, gallbladder, pancreas, bladder, uterus, ovaries, prostate, and more. An MRI is frequently used to pinpoint the source of knee problems, and a tear to the ACL – where the majority of ligament injuries occur – is no exception. When free of any damage, the anterior cruciate ligament is usually very difficult to find on an MRI, but if it has been torn, the image results will detect this in ninety-percent of cases. The findings of this particular procedure are considered to be highly accurate. Depending on what the images show, the degree of your injury can be precisely evaluated. This information will help your doctor to determine whether or not your condition requires surgery, and if not, they will be better informed in regards to your particular and individual course of treatment. In many cases, a bone bruise and fracture may also be evident. It should be emphasized that recovery from ACL damage is very much dependent on the correct, and timely, diagnosis of any additional knee problems, and an MRI of this area will be very helpful in acquiring information that may be relevant to such an issue. If they are indeed present, tears of the lateral collateral ligament (LCL), posterior cruciate ligament (PCL), and/or the menisci will be displayed in addition to an injury of the ACL. Patients who demonstrate some combination of these injuries are likely to require immediate and intensive surgery, and an MRI will ensure that this need is acknowledged, therefore making necessary treatment not only possible, but definitive. An undiagnosed LCL injury, for example, is likely to ensure that an ACL graft fails – but with an MRI, nothing is left to chance. Often called an MCL sprain, injuries to this ligament can range from stretching to tearing, and an MCL MRI will help enormously in determining the degree of damage. Usually caused by a direct blow to the outer knee, such a wound most commonly occurs among those who engage in contact sports, and can, in a lot of cases, afflict both professional and amateur athletes. The symptoms of a medial collateral ligament injury are very similar to those associated with other knee problems, so the images from this procedure should be very helpful in retrieving your correct diagnosis. 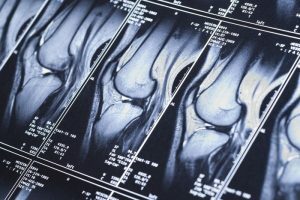 If you heard a “popping” sound when the injury occurred, are experiencing pain and tenderness along the inner knee, have swelling of the knee joint, feel uncomfortable with putting weight on your knee, or have noticed “locking” or “catching” of the joint, then your doctor will likely recommend an MRI of this area. Similar to an ACL MRI, the results of this service can be used to detect any additional damage to the knee and surrounding ligaments as well. They can also conclude the grade of your injury, which should land somewhere on a scale from 1 to 3. A grade 1 injury is the least severe, and signifies stretching as opposed to a tear. Grade 2 indicates a partial tear, and is usually accompanied by some joint instability, whereas grade 3 is considered to be quite severe, and suggests a complete tear. The images and information that an MRI can provide have a critical role to play in the initial staging and ensuing treatment of patients who are suspected to suffer from, or have already been diagnosed with melanoma. This procedure can identify both nodal metastases (when melanoma is present in the lymph nodes) and distant metastases (melanoma that has spread to distant organs or lymph nodes). Your doctor can also use the scan results to determine whether a tumor is cancerous or benign, learn more about the size, location, and severity of a tumor, or monitor how effectively your current treatment plan is progressing. If you are, or have already been diagnosed with melanoma, imaging can help considerably with planning treatments, such as surgery or radiation therapy, as well. In regards to cancer, MRI’s are a particularly effective measure because they take the guesswork out of gauging how well your body is responding to a certain treatment. This can help to ensure that the path you take to manage this disease is the correct course of action for you as an individual. Melanoma has the ability to metastasize to any organ, so a full-body MRI may be very helpful in cases such as this. The extensive information that such a scan provides will prove useful in establishing both the severity of your condition and a prognosis. If your melanoma is thought to be present in, or may have spread to the brain or spinal cord, then an MRI is considered the best imaging test to undergo in such an instance. The results can also show whether a tumor is non-cancerous, non-invasive, early, high-risk, or advanced. Currently, this procedure is considered the best non-invasive method available for detecting cancer in the prostate. This is due to the superior soft-tissue contrast its imaging provides, the fact that it is capable of showing multi-planar perspectives, and an MRI’s unique ability to display information which may potentially concern certain biologic and functional aspects of the body that other scans are more likely to miss. In the diagnosis, local staging, and detection of recurring prostate cancer, an MRI is considered the gold standard of services one can undergo. Due to recent advances in technology, this approach has been found to detect cancer in the prostate gland with 95% accuracy. An MRI of the prostate can also be used very effectively to guide a biopsy if you’ve already had a prostatectomy, as the contrast-enhanced images will show any cancer very clearly, whereas images from another service will likely be far more difficult to read. In fact, without the guidance of an MRI in such instances, a biopsy of the area will potentially come back negative even if cancer is indeed present. This is because other imaging procedures don’t have the ability to display distinguishing features where the prostate once was. If cancer is indeed discovered, your doctor will be able to stage its progression very precisely, and provide you with specific information about its current status. There are a variety of patient types who can benefit from a prostate MRI. Those who were found to have elevated PSA levels before a biopsy, or after an initial negative biopsy, can undergo this service to determine where the cancer is – or isn’t – present. That way, you can save yourself the trouble of submitting to multiple unnecessary biopsies when a simple scan will display everything you need to know. Doctors of patients who are dealing with intermediate-risk prostate cancer can use their MRI results to track the disease’s progression, and make educated treatment decisions. If you’ve chosen to follow the active surveillance method, then a prostate MRI is worth considering as part of your management plan as well. Patients with elevated PSA levels who have already received treatment should find the results of an MRI very useful, too. Undergoing an MRI can be very helpful in diagnosing joint disorders such as arthritis. The treatment methods that are available to sufferers of rheumatoid, and other forms of inflammatory arthritis have improved greatly in recent years, but establishing an early diagnosis is key to ensuring that these therapies are as efficacious as they can possibly be. If you have been experiencing pain, stiffness, swelling, redness, or decreased range in motion of the joints, then proceeding with an MRI is probably the best possible route to a definitive diagnosis of your condition. If your results do, in fact, show that arthritis has set in, then they will also be able to inform your doctor how far the disease has progressed. This information is essential to mapping out an effective treatment plan and determining how to manage its spread. Erosions, synovitis, and bone marrow edema can all be evaluated with great accuracy using the results of your scan. 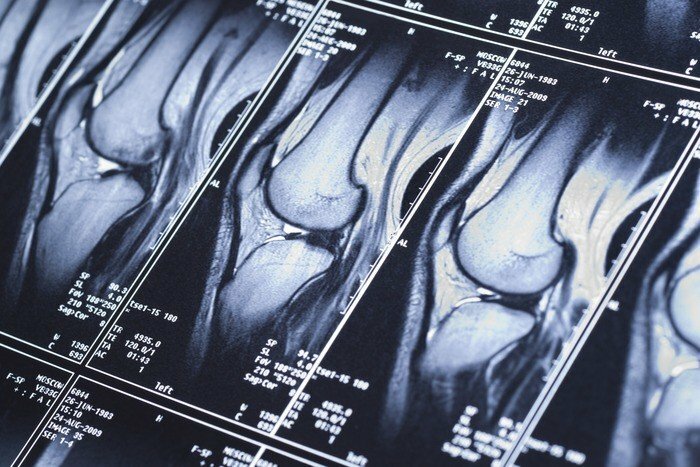 For those who are already aware that they’re suffering from arthritis, an MRI is a very useful tool in assessing how well a particular treatment may be working for you, and whether or not it is worth continuing with. In many cases, you may be able to measure a therapy’s success based solely upon how you feel, but imaging will provide your doctor with enough data to make a highly informed decision regarding what direction your care should take. Shoulder MRI is a noninvasive procedure that helps create a detailed digital image of the shoulder joint. This includes not just the bones, but the muscles, tendons and vessels from various views. It’s commonly used to diagnose problems with rotator cuffs, joint stabilization and to understand the severity of a variety of sports injuries, especially shoulder dislocation. Shoulder joints experience a lot of wear and tear, especially during physical activity so it’s not uncommon for athletes to experience pain or discomfort in their joints. As the shoulder joints wear down, your rotator cuff becomes more prone to dislocation. The radiologist may inject a contrast material into your shoulder area, this mixture will allow for a clearer image and diagnosis. If you are allergic to iodine you’ll want to let your radiologist know. Afterwards you’ll be laid down, face up, inside the MRI machine, which will cover your full body. The MRI machine targets your shoulder and will be able to produce images from a variety of angles. The procedure should take under an hour.